Professor Chris Baines is widely respected as one of the UK’s leading independent environmentalists. He had an early career in landscape consultancy and contracting, and then taught landscape architecture at postgraduate level until 1986, when he was awarded an honorary personal professorship. Since then he has been working primarily as a self-employed independent adviser to board members and senior executives in the corporate sector and in central and local government. Chris Baines has a long-standing professional relationship with a number of major companies in the water, minerals, energy and construction industries, including Kelda plc, Tarmac Quarry Products, Persimmon Homes, Carillion plc and ExxonMobil and he spent four years as a non-executive director of Booker Countryside in the mid-nineties. He is retained by specialist retirement Housing developer Beechcroft Ltd.
Chris Baines has chaired the judging of the Green Leaf Housing Awards for the House Builders Federation for almost 20 years from their establishment in the early 1980s. He advises Scottish Widows Investment Partnership on ethical and environmental investment and is currently providing professional environmental input to major regeneration projects at the Olympic Village and barking Riverside in the Thames Gateway, in the World Heritage city of Bath and in Peterborough’s new township, the Hamptons. In 1998, Chris Baines was appointed by the Prime Minister to serve until July 2004 as one of the twelve trustee of the National Heritage Memorial Fund, helping to distribute the £300 million pa Heritage Lottery Fund. He is now a member of the HLF Expert Panel. He was a member of the Government’s ministerial sounding board for the 2001 rural white paper, and also of the UK Commission of Inquiry into Environmental Health. Chris Baines is also an award-winning writer and broadcaster and his book How to Make a Wildlife Garden (pub: Frances Lincoln) is considered a classic. He contributes regularly to BBC Radio 4, and to a number of popular magazines including BBC Gardeners’ World, BBC Wildlife, NFU Countryside, CountryLife and Country Living. He also writes frequently for the Environment Agency’s in-house magazine, Environment Now, for Green Futures and occasionally for the Guardian and the Telegraph. He has 20 years of experience as a TV writer/presenter, and he is also a frequent speaker or chairman at national and international conferences. 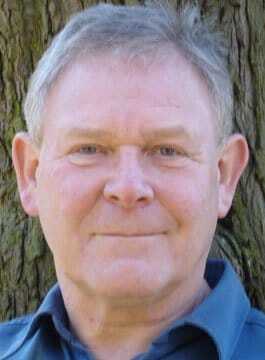 Chris Baines has a lifetime’s involvement with the voluntary sector and with environmental education. 25 years ago he co-founded the Wildlife Trust for Birmingham and the Black Country and he is currently a national vice-president of The Royal Society of Wildlife Trusts. He is a patron of the Bankside Open Spaces Trust, and the Landscape Design Trust and the Countryside Management Association. He is also president of the Association for Environment-Conscious Building (AECB), the Urban Wildlife Network and the Thames Estuary Partnership and The Essex Wildlife Trust. He is an honorary Fellow of both The Chartered Institute of Water and Environmental Management (CIWEM) and of the Institute of Leisure and Amenity Management (ILAM) and in 2004 he was awarded the RSPB’s medal for service to nature conservation.